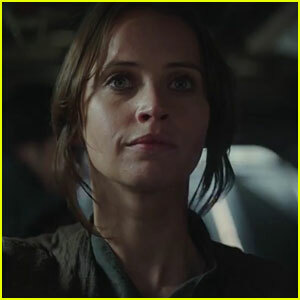 Felicity Jones Has Hope in New ‘Rogue One’ TV Spot! | Felicity Jones, Star Wars | Just Jared Jr.
Felicity Jones Has Hope in New 'Rogue One' TV Spot! Felicity Jones leads the group with hope in this brand new TV spot for Rogue One: A Star Wars Story! The 33-year-old actress appears in the new “Together” spot alongside Diego Luna, Ben Mendelsohn, Donnie Yen, Mads Mikkelsen, Alan Tudyk, Riz Ahmed, Jiang Wen, and Forest Whitaker. Here’s a synopsis for the movie: In a time of conflict, a group of unlikely heroes band together on a mission to steal the plans to the Death Star, the Empire’s ultimate weapon of destruction. This key event in the Star Wars timeline brings together ordinary people who choose to do extraordinary things, and in doing so, become part of something greater than themselves. 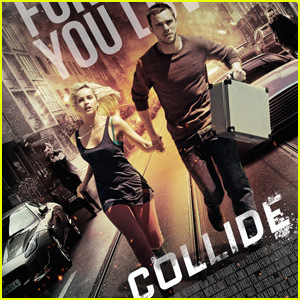 Be sure to check it out when it hits theaters December 16! 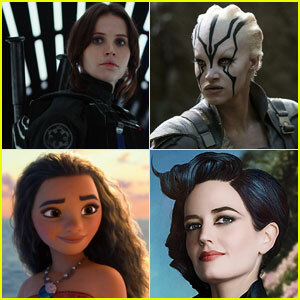 8 Movie Heroines Who Ruled 2016! Vanessa Hudgens & Nina Dobrev Hit the Red Carpet at 'Elle' Women In Hollywood Awards! 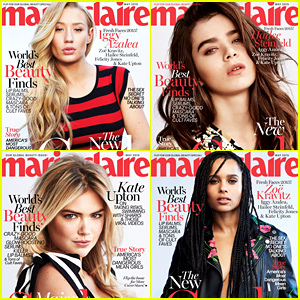 Hailee Steinfeld Gushes About 'Pitch Perfect 2': I Gained 10 Older Sisters! Eddie Redmayne & Felicity Jones Make Their Big BAFTAS 2015 Entrances! Eddie Redmayne Parties at Kensington Palace Before the BAFTAs! Eddie Redmayne Reveals He Wears Boxers! 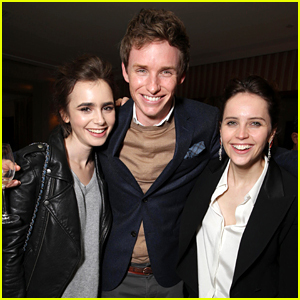 Lily Collins Celebrates Eddie Redmayne's Globes Win at Special Dinner!